It looks like the story of Marvel’s Inhumans may already be coming to its end. ABC might be hinting that they’re going to axe their latest Marvel TV adaption at the end if its first season. The network is currently advertising the show’s upcoming debut, telling fans to see “the complete series” on September 29. 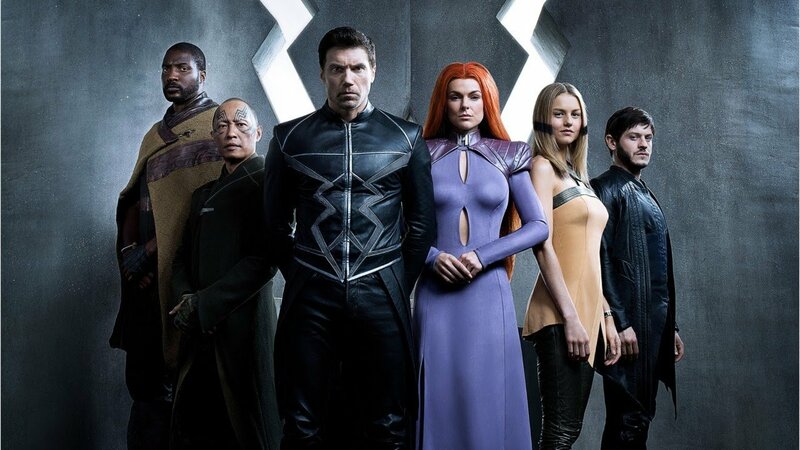 The Inhumans series was created in a partnership deal between Marvel and IMAX entertainment, debuting on IMAX screens before its TV premiere on ABC. Launching in 676 IMAX theaters, Hollywoodreporter wrote that the series grossed an underwhelming estimate of $2.6 million. “This is a pretty ho-hum result. I just don’t think the average moviegoer knew what this was, and if they did, they certainly didn’t know it was debuting in theaters before its TV debut.” said box office analyst Jeff Bock of Exhibitor Relations. Out of the majority of Marvel’s IPs undergoing adaptations, The Inhumans has certainly had the most difficult time getting off the ground. The production originally began a feature-length film back in 2011, with Marvel officially announcing it in 2014. The films production schedule was then pushed to 2019 in order to make room for other higher priority films before being removed from the schedule completely last year. After word on the film went dark, it was announced that The Inhumans movie would be turned into a TV show, airing on ABC alongside their other Marvel show, Agents of S.H.I.E.L.D. Despite Agents of S.H.I.E.L.D. already laying a ton of ground work to setup The Inhumans, the new show has already been confirmed to not be a direct spinoff of that show’s events. While the future of The Inhumans isn’t looking all that great right now, nothing has been set in stone yet. The Inhumans will be making its TV premiere on ABC on September 29 and will run for eight episodes. The first episode will contain extra footage not shown in the original IMAX screening.